I also was able to attend quite a few session son technology in the music room. One session in particular was the presentation of a music program I've had my eye on for quite a while. 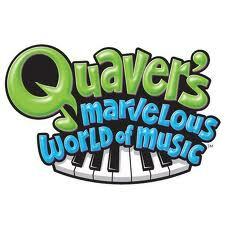 The program is called Quaver's Marvelous World of Music. 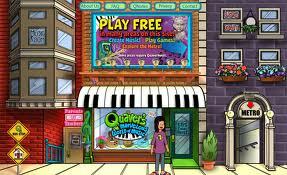 Quaver is a musician who leads kids through all kinds of musical adventures and experiences. There is a class set of DVDs, which star Quaver. It is like watching a musical version of Doctor Who, Monty Python, and Bill Nye the Science Guy all rolled into one. And, they are quality productions. These DVDs are quick 10-15 minute episodes on music theory, composers, history, instruments, and so forth. They are meant to come along side what is already happening in my music room. However, what really stands out to me about Quaver Music is the interactive components. Each lesson has a whole host of interactive white board activities, online games, supplemental information, and so forth. This is truly a great way to bring technology into the elementary music room. Those elements come with a subscription to Quaver Music. HOWEVER, there is an amazingly well-done online component that is FREE for kids to use ALL THE TIME!! Even without a subscription, I can point you to this website for your kids to use to explore music composition, history, note reading, and on and on. Each child is required to set up a username and password for the site. An email is required only if your child would like to be emailed an mP3 version of their musical creations. And, parents, if you are interested in learning more about Quaver, and viewing some clips from the DVDs, click on the "Parents and Teachers" door. And, no, I do not get a dime for promoting Quaver :) I have just been very impressed with the quality of this company's productions--from an educational standpoint, as well as from a technological integration standpoint. Again, the Kid's Area is free, educational, and FUN! What more could a parent or teacher want?? In first grade this month we are starting to accompany ourselves on the Orff instruments. Students first learn a song, then learn the instrument parts that go with the song. Each student gets a turn to play every instrument and every part. In the song, "Bow Wow Wow," students got to play the xylophone, the glockenspiel, and the vibraslap. Plus, we played a game on top of the music! Here is a first grade class in action.